Thirteen Global Education Institute (GEI) Pre-Master Program (PMP) students visited Great Smoky Mountain National Park Nov. 8. 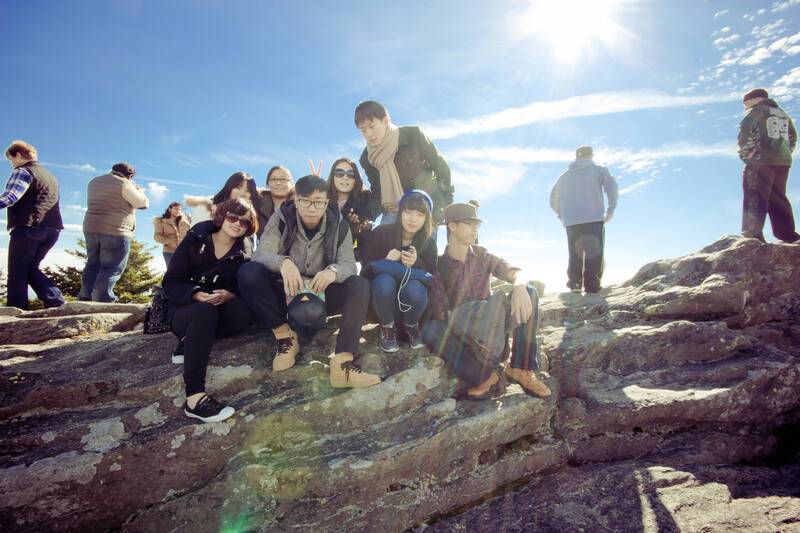 The group toured the mountains and gorges along the scenic Blue Ridge Parkway before arriving at Grandfather Mountain—the highest peak on the eastern escarpment of the Blue Ridge Mountains, one of the major chains of the Appalachians. 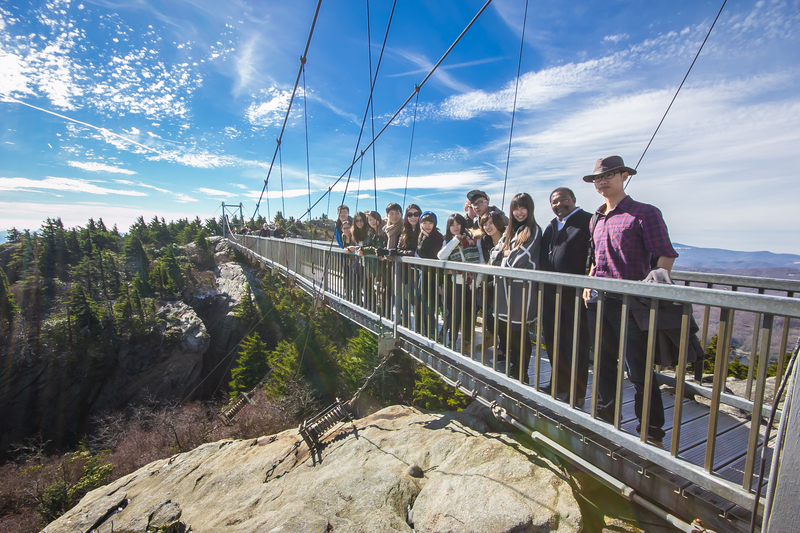 They climbed Grandfather Mountain and walked across the 228-foot swinging bridge, built in 1952, to stand one mile above sea level and marvel at the pioneering spirit it took to build the bridge. Students said they enjoyed the cool, fresh air and the broad horizons visible from the mountaintop. Students next toured Linville Caverns, located at the southern gateway to western North Carolina’s High Country region. They descended into a subterranean world and learned about the history and science of the caverns as they viewed the grand work of nature. The trip concluded with a 2-mile hike to Linville Falls, where students enjoyed hiking in the mountains and playing in the water. Participants said they were tired but excited following the day’s adventure amid the beautiful scenery and cool weather, and were glad for their increased understanding of the state of North Carolina.